Otterbox makes some very nice cases for our Windows Phone. 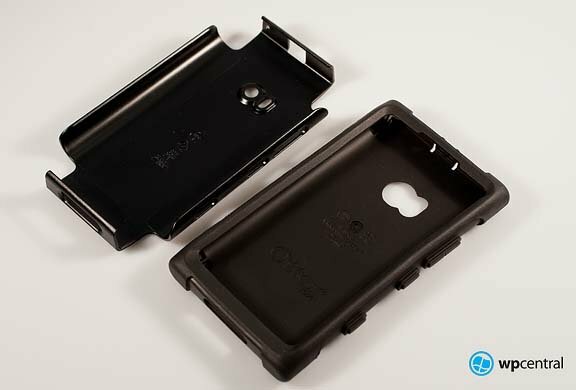 Recently the company released their popular Commuter case for the Nokia Lumia 900 and we've taken it out for a test drive. The Commuter is very similar to the Case-Mate Tough but beefier. The rubber sleeve is exposed at the corners of the Windows Phone and protects nicely against falls. The case also forms a frame that recesses the screen to protect it from scratches. While the Commuter does provide a nice level of protection it does add noticeable bulk to the Lumia 900. Bulk some may not find appealing. The Commuter is a two piece case with a rubber sleeve that fits snugly around your Lumia 900 and a hard shell case that wraps around the rubber sleeve. Buttons are covered with a rubber extension and the micro-USB port is covered by a rubber flap. There is a cutout to expose the speaker and headphone jack. For those wanting a little scratch protection for the chrome accents around camera, the Otterbox has cutouts for the camera and light but keeps the chrome concealed and protected. The fit and feel of the Commuter is nice but adds noticeable bulk to a slim Windows Phone. If I had to compare the Lumia 900 fitted with the Otterbox to another Windows Phone it would be the HTC HD7 or maybe a slightly thicker Titan. The case does offer excellent protection for the Lumia 900 but at the price of size. It doesn't make the Lumia 900 feel like a brick but if the attraction to the 900 was the thin form, you may not like the Otterbox. 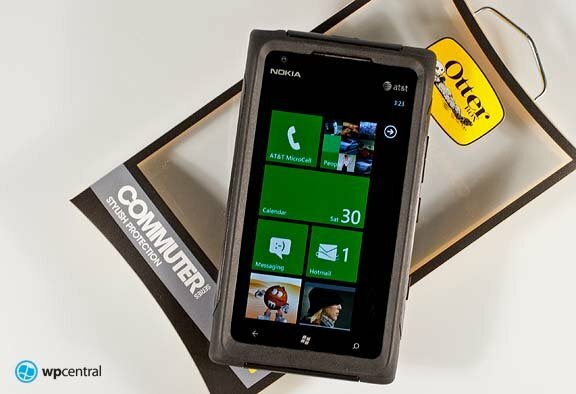 Overall, the Otterbox Commuter is a very nice case that offers a respectable amount of protection to your Windows Phone. It does add noticeable bulk to the Lumia 900 and some may not mind the size increase. If you don't mind the increase in size, it would be hard to go wrong with the Commuter. 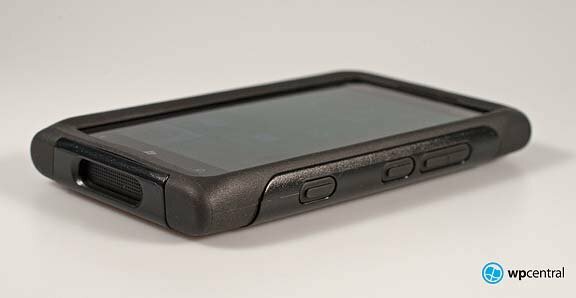 The Otterbox Commuter can be picked up directly from Otterbox or through third party vendors such as Amazon.com. The case is running in the neighborhood of $35 and comes in black and gray/white color patterns. Otterbox also makes the Defender case (a little beefier than the Commuter) that we're in the process of taking a look at and will get a review up shortly.